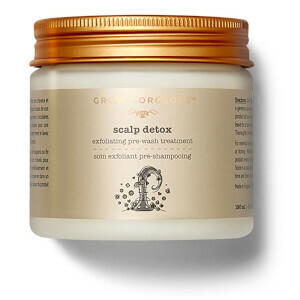 While this did add volume to my hair, my scalp was very itchy and took a couple of days to resolve. I returned it. As always, Grow Gorgeous comes out with another winner! Not only do I love the smell, but my normally thin hair actually looks more full! I plan to repurchase when this one runs out! 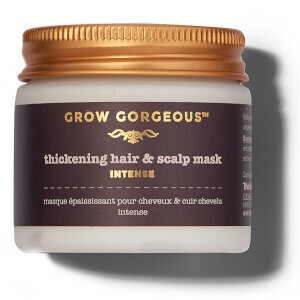 Because this is a Grow Gorgeous mask, you know it's going to smell super premium and will make you feel like you're at the salon with every use. This product was no different! It is such a treat to add to my hair care routine, and I'm excited to see how my hair improves with each use. I only have one drawback with this product. I find it very difficult to rinse all the product out of my hair. I can feel it in my hair and it feels a bit heavy even after it's dry, but isn't visibly noticeable; can't see it, but can feel it. That being said, I do believe that if I could get more rinsed out while showering, I wouldn't have that issue. The benefits outweigh this minor dislike and think anyone considering making this purchase should try it! I've only tried this a couple of times and have already fallen in love with this! I just got this product and the first thing I noticed right away is that it smells great! Can't wait to use it with my hair growth serum! 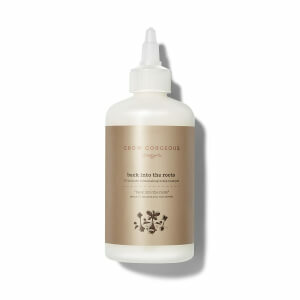 This goes beyond a conditioner and gave great feel and texture to my hair. I loved the smell too!